One of the best things about being a textile designer working with Bengal handlooms is the fact that you often get immense job satisfaction. It comes in the form of developing new products, imparting new skills, creating awareness of changing tastes and (hopefully) making a little bit of difference to handloom saree weavers. I am not being naive here. Take my last project, involving Bengal silk sarees. This weaver’s cooperative in the village of Nagar in Murshidabad district of West Bengal used to spin yarn from silkworm cocoons and went on to weave raw mulberry silk fabric. 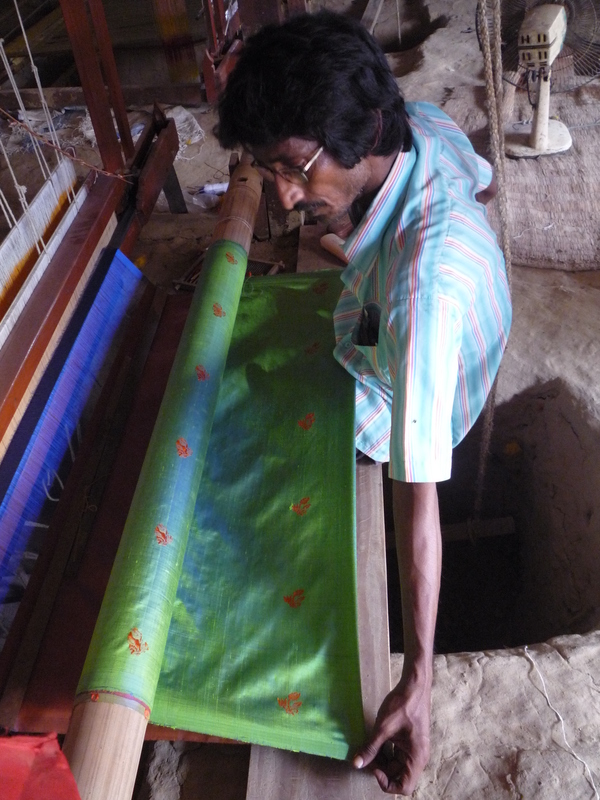 Murshidabad, incidentally, has been a hub of Bengal handloom silk weaving for hundreds of years. You are sure to find a Murshidabad silk saree in every Bengali wardrobe. The weavers of Nagar are traditionally yarn spinners who branched out to weaving handloom silk fabric some time back. Their skills with every stage of creating silk yarn is unquestionable. It’s a delight to watch nimble hands go through all the steps like extracting or reeling, degumming, twisting, and so on with the practiced sureness of skilled artisans. 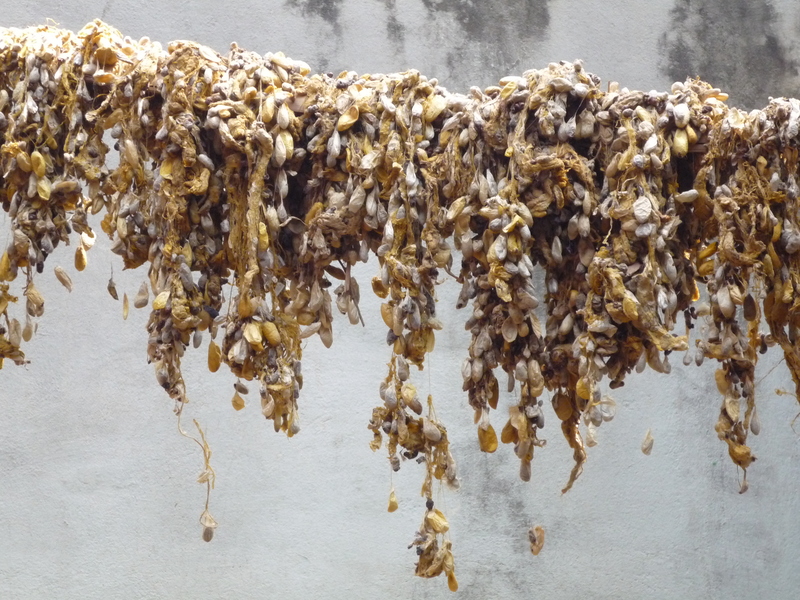 In fact, in Bengal you will find silk yarn spinning and silk fabric weaving under the same roof only in Murshidabad! Under the aegis of Khadi and Village Industries Commission, I was given the task of introducing handloom silk saree weaving with jacquard to this cooperative. KVIC’s Prodeep scheme introduces skills, encourages asset creation and gives access to modern design consultancy to marginal weavers across the country. Which means the designer has to go to the real interiors of the countryside and interact with weavers at every stage. In Nagar, the results surpassed my wildest expectations. Though there were issues regarding colour scheme (the dyer went a bit overboard with enthusiasm), some inspiring handloom silk sarees have been woven. Considering that they were weaving designs instead of silk fabric for the first time in there lives, I can definitely say that the results are outstanding. What’s more, they can now claim to create these exquisite handloom silk sarees right from mulberry silk cocoons!